ace, printering, pressure, Villach, 1150 Vienna, Vienna, Kärnten, Kaernten, Austria, Austria, Offsetdruck, Verpackungsdruck, Laborbelege, Kuverts, Etiketten, Endlosformulare, Garnituren, ACE, A.C.E., a.c.e., A.C.E. Liemberger, ACE Liemberger, ace more liemberger, A.C.E. Liemberger GmbH, ace of liemberger GmbH, a.c.e of liemberger GmbH, A.C.E. Liemberger endless, A.C.E. Villacher paper, A.C.E. 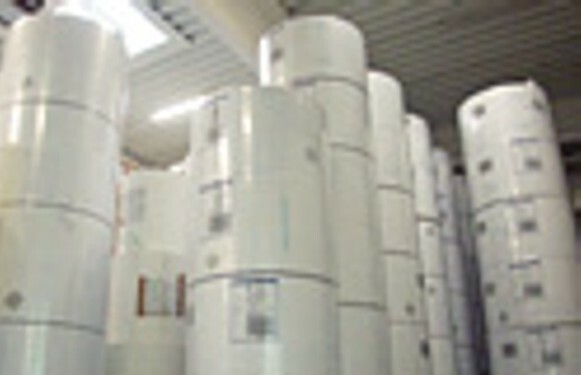 Liemberger Packaging, A.C.E. Litho Net, A.C.E. Litho Media, A.C.E. General PAPER, physician need, physician-requires, Addingrollen, addingrollen, sticker, sticker, autosticker, adhesive of material, Austria, austria, putting up boxes, pressure, yellow sides, yellow sides, Yellow Pages, yellowpages, Brainstore, brainstore, printed on packing, elbow papers, elbow posters, bending posters of envelopes, envelopes, letters, letters, block, block production, block, Brosch&uuml; , if voucher read forms, forms for voucher reading, vouchers ren, occupy sheet-fed printing, sheet-fed printing, sheet-fed printing places, Carinthia, carinthia, sheet-fed printing-locate coding, coding, coding, computer pressure places, forms for computer, forms for computer, printering, pressure places, printering, printering, pressure, pressure-locate, Durchschreibegarnituren, continuous forms, continuous forms, endlessly, endless, Endlosdrucke, continuous form, continuous forms, continuous forms, continuous sets, continuous sets, Endlosdruck, endlosdruck, labels, labels, label printing, labeling, label, label printering, label, label, export, export, EDP pressure places, EDP-pressure-locate, folding carton, folding carton, creases, folding boxes, folding boxes, Falter, falter, folders, folder, folder, Flyer, flyer, handbills, handbills, forms, forms, flexographic printing, flexographic printing places, general PAPER, general PAPER, sets, sets, municipality pressure places, Gro&szlig; trade, diagram, diagram, graphics, graphics, graphic studio, graphic studio, graphic enterprise, graphic enterprise, organization, Gro&szlig; trade, business pressure places, business-pressure-locate, g&uuml; nstig, H&uuml; , if Hologramme, holography, homepage, homepage, homepage, import, Internet, Internet, Internet tying up, Internet homepage llen, labels, covers, covers, copying paper, copying paper, cover pressure, cover pressure, cover manufacturer, Kuvertgro&szlig integrated kraft papers, kraft paper; trade, customer maps, customer maps, tapes, tapes, adhesive labels, adhesive labels, adhesive, adhesive, emperor vouchers, hospital vouchers, forms for hospital, hospital need, hospital pressure places, Kosmetiketiketten, label, label, Litho Net, litho net, lithonet, Litho Media, litho media, lithomedia, Liemberger, Liemberger GmbH, liemberger GmbH, liemberger GmbH, Lithoherstellung, Liemberger engineer Klaus, Liemberger Klaus, Liemberger group, more liemberger group, Liemberger entrepreneurial group, Liemberger endless, Liemberger Packaging, more liemberger endlessly, Liemberger pressure, liemberger, liemberger Klaus, Laborbedarf, laboratory-requires, laboratory labels, laboratory labels, forms for laboratory, forms for laboratory, laser coding, lithography, Lithographen, Lithografen, Lithoanstalt, cunning paper, Media division, Media, multi-elbow posters, Mailings, mailings, max DATA, max DATA, offset, offset printing, offset printing places, folders, folders, folder pressure, folder pressure, paper, paper, PAPER, Papiergro&szlig; trade, papiergro&szlig; trade, paper import, paper export, webs, paper trade, paper Gro&szlig; trade, posters, poster pressure, Personalisierung, print, print, personalisieren Proof, preisg&uuml; nstig, price comparison, reproduction institutes, reproduction institute, reproduction institute, reproduction institutes, Repros, repros, reproductions, grids, web printing, role labels, web printing places, Scans, snap out sets, Snap out sets, sentence production, sentence, sentence, satzherstellung, SD-forms, SD-papers, Selstklebeetiketten, self adhesive labels, multipart form sets, special packing, special packing, special packing, safety labels, high-speed pressure, boxes, bags, bags, Tabernakelfalz, transportation packing, transportation packing, packing, packing, packing, packing, packing cardboard, Visites, visiting cards, Web Design, Web Design, advertising diagram, advertising pressure places, advertisement, advertising agency, advertising agencies, advertising agency, advertising agencies, cardboard, to cardboard-cut products of cardboard, cardboard cuts, cardboard roles, cardboard, vienna, Vienna, Wine labels, wine labels, wine cardboard, wine packing, sugar stick, sugar stick, sugar, sugar packing, forms, pressure, printering, continuous products, pressure products, continuous printering, endlosdruck, form printering, mailing, mailingproduktion, advertising sending, paper mailingprodukte, mailingaussendungen, forms for computer, ddrucksorten, advertising-pressure-locates, special products, more selfmailer, more kuvertmailer, direct mail, direct mail products, profit-plays, tabulation paper, forms for laser, A4-einzelblatt, forms for single sheet, direct marketing, cover, envelopes, cards, customer maps, computer letters, digital pressure, laserprinting, single sheet laser letters, continuousadvertising-prints, label mailings, personalisierte customer maps, personalisierte means of publicity, means of publicity, manufacturing, kuvertieren, laser letters, personaliserung, personalisieren "